Dhaka, 3 October, Abnews: Buns have been making strides as a go-to look. They can be made at any occasion and at any place. Hair tied in different stylish buns may look simple but flaunting a perfect look with them is not as easy as it seems. From the right selection of bun style that suits you, there are so many things that you need to consider to get it right and get tons of compliments. Gone are the days when buns had limited options. Hairstylists have now come up with a number of creative hair panaches based on your body shape, height and of course the trend. Choosing the right one that enhances your looks is the task. A wrong choice can create the havoc for your appearance by making your look bizarre. The buns that you opt for largely depend on the volume and type of your hair. Depending on factors like whether your hair is thick or thin, curly or straight, you can pick the style that makes for an apt fashion statement. 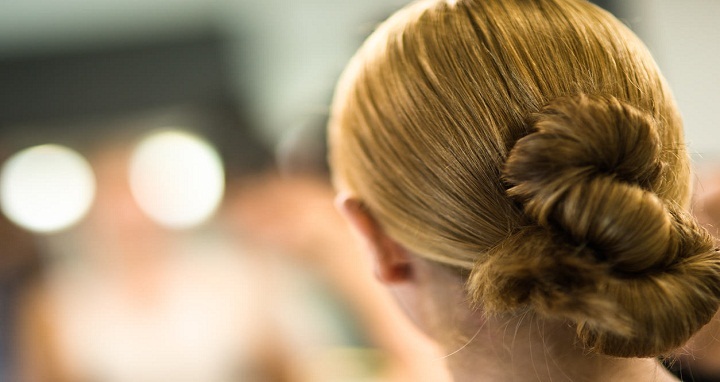 Are you bored of the way you typically pull your hair up and tie in a bun? Change is always good, right? So, it’s time to switch up your go-to-look with these stunning classy buns you will fall in love with. Messy bun: These buns are one of the most popular hairstyles and they are not as simple as just pulling your hair into a rough hair tie. Sometimes messy buns are the best when they are looser. If you want that look and feel, twist your hair into a bun and clip it into place without using any elastics and that’s how you get a very fast messy bun. Curly twisted bun: You can try this style in straight hair but the texture of curly hair really works for this low bun. It is a messy twist. Twist the sections of hair in a somewhat haphazard way and secure with bobby pins. The result is surprisingly chic. Twisted updo: It is an elegant and graceful hairdo for women with long and thick hair. Perfect for the occasions like wedding, cocktail, and get-together. Although seemingly complicated, you can easily achieve its perfection. It is beautiful, delicate and demure to the eyes. Upside down braid top knot: This top knot hairstyle is great with French braiding at your neck. You can make the braid loose or tight. Tie it off with a hair tie once you get braid to the top of your head. Roll the hair round to create your top knot. Side braids with bun: Twist two side braids around a bun and you are ready for work or a night out. It is a great way to dress up a hairstyle in an inexpensive way. A side bun looks asymmetric and luscious and it works greatly on long and medium hair. It is suitable for both formal and informal events. This bun looks quite modern and cute. The side braids add much charm and fun to it. The romantic hairstyle will make many head-turns. You can adorn it with some real flowers and beaded hairpins. Space bun top knot: Rock the two knots in your own hair. This is a fun hairstyle that suits best with playful dresses. You can add in a braid, colourful ribbon or bows to make your two cute buns. You may stand out even more. Possibilities are endless. Sleek chignon bun: Chignons are versatile – braided, curly, sleek and many more. These buns have undergone a number of transformations over the years and they are back with a bang in the fashion world. They look fabulous on anyone and go well with a gown or a cocktail dress. Chignon is the party season’s favourite hairstyle. Sport this look like a celebrity. Curly fishtail bun: This hairstyle features two braided fishtail braids wrapped together to create a braided bun. It can be tricky to do but the perfection can be attained by simply practicing over and over again. Loose fish braid makes this updo standout. This bun is perfect for medium length to long strands. It looks stunning dressed up with a jewelled accessory for a night. Criss-cross high bun: This bun looks tricky with all the sweeping and wrapped sections. You will fall in love with its formal look. It is fun to create and carry. It is a chic hairstyle and there are many different ways to sport this hairdo. Bow-tie bun: It is the perfect bun that makes your hair feel chic and together at the office or prom. It can be created with a few bobby pins and a little spray. It is very cute, simple and modish hairstyle that looks impressive. Wrap a hair tie around your ponytail however many times it is necessary to. This style pulls all your hair up into a bow. You can also try a half-up bow instead. The best thing about bun is that it never goes out of trend. Just pay attention to a few things and you are ready to look like a Diva. Some women load up a bun with a lot of accessories. Though, accessories are essential to get the perfect look, but there should always be a balance. When wearing a creative bun, keep accessories to the minimum. You can enhance a simple one ornamenting them more.